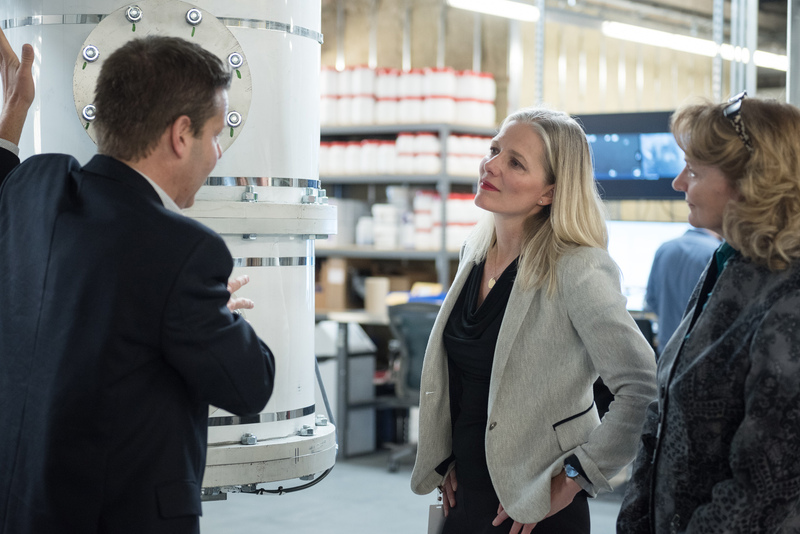 OTTAWA, January 22nd, 2019 – The Honourable Catherine McKenna (Minister of Environment and Climate Change) toured Equispheres’ new facilities today to view the company’s newly-commissioned atomization reactors and learn about the environmental benefits of Equispheres’ ultra-homogenous metal powder designed for use in Additive Manufacturing. The transportation sector is a significant contributor to climate change and is responsible for emitting 28% of greenhouse gases (GHG) worldwide. Aircraft and motor vehicle manufacturers are seeking innovative technology to eliminate any excess weight from parts and components to improve fuel efficiency and minimize GHG emissions. In today’s meeting with Minister McKenna, Equispheres explained how their unique, highly-uniform metal powder enables the production of parts with consistently superior mechanical performance. That performance provides engineers with the confidence to use the material to build lighter, stronger parts. Headquartered in Ottawa, Canada and privately held, Equispheres is a materials science company focused on advanced technologies such as additive manufacturing and cold spray applications. Equispheres’ vision is to unlock the potential of these technologies by engineering and providing ultra-high-performance, mono-sized metal powders. Equispheres’ patent-pending atomization technology produces free-flowing, consistently sized, agglomerate and fine-free, spherical metal powders, designed to significantly improve manufacturing processes, quality and reliability of customers’ end use products. Equispheres’ staff of researchers and metallurgists offer a range of services including custom alloy development and application support required to meet demanding aerospace, automotive, medical and military component requirements.